2014 has been a great year for me and the blog as well. I believe I have published valuable items this year and made it possible to review each item for the information of everyone. So I decided that as a good year-ender I will have a post on the Best of 2014 and will make it a 4-Part series! Again these are based on my personal experience and opinion! Today our focus will be the Best of 2014 Eye Products! Fashion 21 Double Up Mascara- I even created a video about this product and I do truly and deeply love how this mascara makes my lashes stand out. It's a bit of a pricey side for a local product but works wonders so I love it! 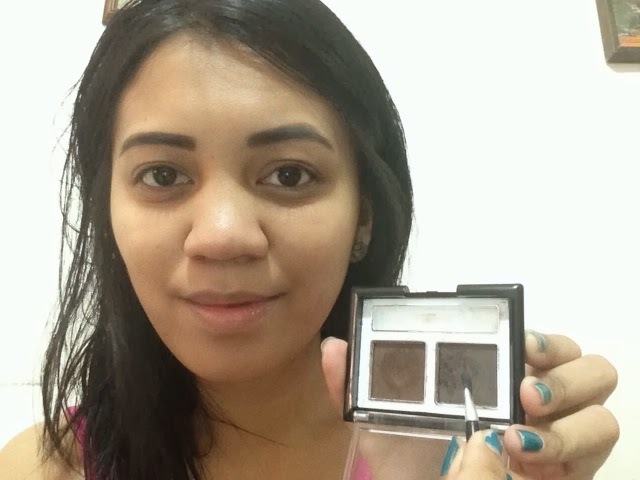 Fashion 21 Single Eyeshadow in #18. I don't really like black eyeshadow just because I find hard time blending but this single eyeshadow from Fashion 21 is so good. I love putting this over my Essence Eye liner. As you may have noticed almost all of my eye products are for the brows and for the lashes. I love finding out new products that matches the quality that I need and the budget that I have. Hopefully you had learned new products worth trying in the future. Please stay tune on my next Best of 2014 and I'll talking about Lips!